I use bind (Berkeley Internet Name Domain) as my DNS server. I am currently running bind 9.11.5P1 on FreeBSD 11.2-RELEASE-p8 in a jail, with iocage as my jail manager. The OS, jail, and jail manager should play no part in how this works. I have been collecting statistics from bind for some time. I have configured LibreNMS to collect the details via snmpd and they are plotted in a lovely looking graph. The problem I have been trying to solve: the statistics stop from time to time. My first tweet about this problem was on 25 Dec 2018. I started to suspect my Ansible configuration, but that was quickly disproved. Much information has been gathered over the past 48 hours, with sufficient complexity to warrant writing about it. Please note: some of the times shown might not match the timeline of the narrative. That is because I was reproducing the issue today while writing this. The statistics would suddenly stop without any obvious reason. I would fix the permissions, but there would be a gap in the data. Why does the file change permissions to chown root:bind? By 6 January, it happened again. Again on 18 January, and that’s when I really started getting into this issue. The problem kept recurring and I kept losing graphing data. I went so far as to create a Nagios plugin to check the permissions so I would at least know there was an issue instead of waiting until I checked the graphs. The problem would recur from time to time and the file would again have the wrong permissions. The bind port itself came under what turned out to be a false accusation. 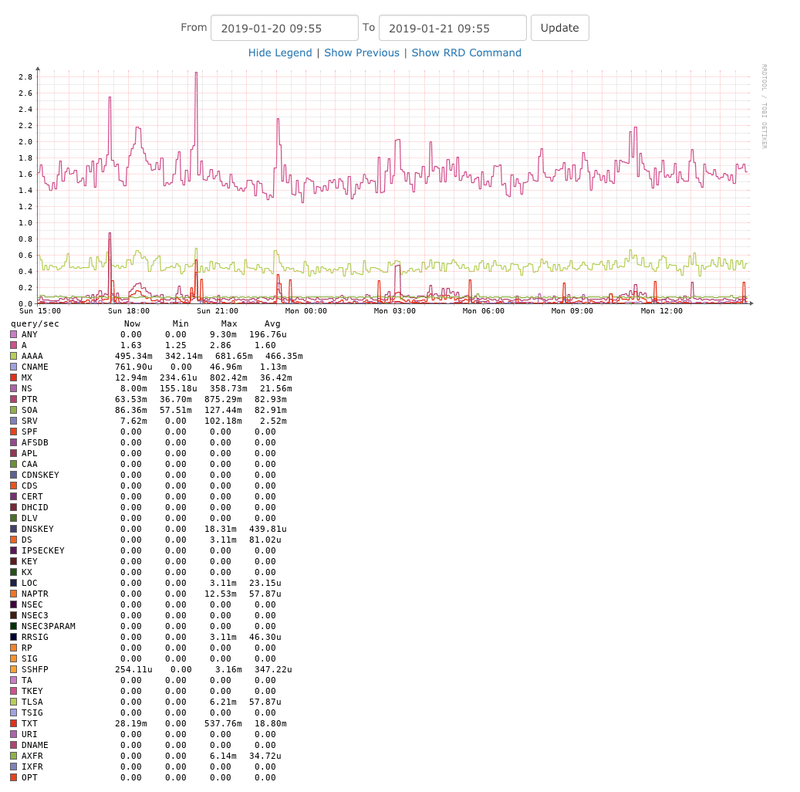 This arose because I noticed that the graph stoppage corresponded with a pkg upgrade. That red herring moved quickly out of focus and I discovered that restart the jail would cause the /var/run/named/stats file to disappear. I then turned to more experiments and discovered something rather interesting: the file disappears on reboot. Yes, /var/run/named/stats disappeared after restarting the jail. To test that this file was not being singled out, I did some tests, and found that /var/run/TESTING/file disappears on reboot. in a jail under both 11.2 and 12.0. [Jan 20 14:58]  <cem> dvl: cleanvar? This sounded familiar but I could not recall anything about it. Since this was the default action on all my systems, I was not going to change it now. At least now I knew why the file was disappearing. This meant that named was creating the file with chown root:bind, not that something was changing the owner. My post to the BIND Users Mailing List was written while I was composing this blog post. My current goal is to move the file outside /var/run/ directory and into /var/db/named/ but I do not want to deploy this solution to my other servers until I find out more about this from the BIND project. I have a working solution, but it is not deployed. Exactly as they should be. I’ll run with that configuration on this one server for now. Why does the file get created chown root:bind in /var/run/named/ but chown bind:bind in /var/db/named/? One critical piece I had forgotten: who/what creates the stats file? It is a call to rndc stats. snmpd via the LibreNMS bind application. snmpd runs as root on my systems. I looked at the code and here is my patch. If a bind-user is specified, the commands will be run as that user. I am sure that the file was created via echo >, which run as root, creates a root-owned file, which named, running as bind, can not write to. This is what caused the error. I’ve finally put this patch onto my DNS services. I won’t know for sure that they work until after the next reboot.